The trend of crowning a young twenty-something poker professional at the World Series of Poker (WSOP) continues as Riess outlasted a field of 6,352 players who each ponied up $10,000 for the chance to win poker’s most prestigious tournament late this evening at the Rio All-Suite Hotel & Casino in Las Vegas, Nevada. The event created a $59,714,169 total prize pool with Riess taking home the first place prize of $8,361,570 and the richest prize in all of sports, the $500,000 WSOP gold bracelet. Riess, from East Lansing, Michigan, becomes the sixth consecutive player under the age of 25 to capture poker’s top crown. He also becomes the sixth consecutive poker professional to win the title. This is the third time a poker player from Michigan has won the event, the most recent being Joe Cada of Shelby Township in 2009. Poker Hall of Famer and Grand Rapid’s Tom McEvoy was first to accomplish the feat in 1983. 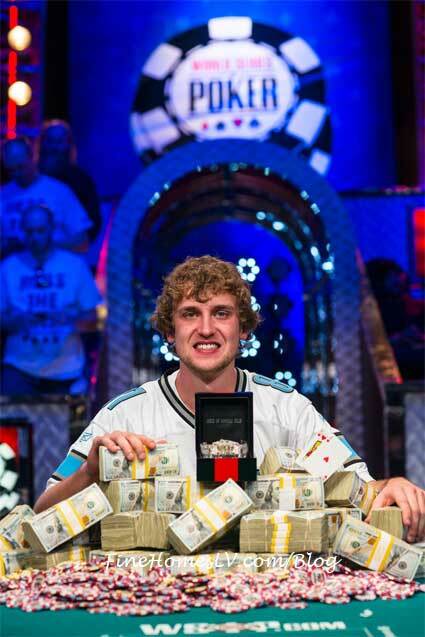 Riess graduated with a business degree from Michigan State last December and burst onto the poker scene just one year ago in October, 2012 when he finished runner up in a WSOP Circuit event at Horseshoe Hammond in Indiana, winning $239,063 after being coaxed to participate by a friend. It was Riess’ first-ever live poker tournament. This marked Riess’ first-time to ever play in the WSOP Main Event. The 2013 Main Event began in July. As has been the custom in the past six years, play was suspended when the tournament reached its final table comprised of nine participants. Play resumed Monday afternoon; after more than eight hours of competition the field of nine remaining players was narrowed to two: Jay Farber, 29, of Las Vegas, an amateur poker player and VIP nightclub host; and professional poker player and Riess, 23, of East Lansing, Michigan. The 2013 WSOP attracted a record 79,471 participants in a total of 62 events, generating a prize pool of more than $197 million. Participants in WSOP events hailed from 107 countries in 2013. Heads-up play began Tuesday evening and lasted more than three hours before we crowned our new champion. Farber was eliminated in second place, winning $5,174,357. 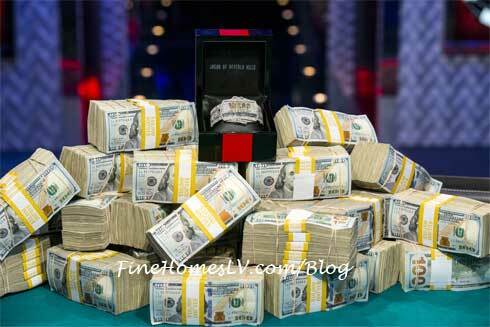 A total of 648 players cashed in this year’s WSOP Main Event. Players from 83 different nations and ages ranging from 21 years old to 92 years old competed in the WSOP Main Event, including dozens of celebrities from the sports and entertainment world. But Riess was able to outlast all 6,351 of them, despite his first-ever attempt in this event.